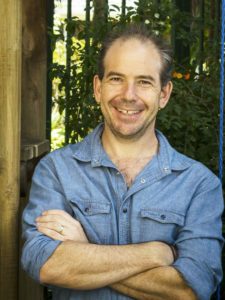 Sue Maclennan, the current editor of Grocott’s Mail, interviews former Grocottt’s editor Jonathan Ancer on the eve of his visit to Grahamstown to launch his book, SPY, at *Thinkfest during the National Arts Festival. For a small town, Grahamstown has unearthed (and itself created) some of the most extraordinary stories. As a journalist (and former Grocott’s Mail editor) what have the most memorable been, and how did you come across them? There have been extraordinary stories from Grahamstown and I used to really enjoy going through the old Grocott’s papers from the turn of the century (the other century). While we ran many wonderful, weird and whacky stories (I think the story about neighbours fighting over a bunny was our biggest seller), the story that stands out for me while I was editor was the one about 81-year-old Violet George. Due to a bureaucratic glitch Mrs George was abandoned in a shack in Silvertown in 2006 when her neighbours were relocated to RDP homes in Vukani. The paper championed Mrs George’s plight and the town got behind her and eventually – after almost a year – she moved into a house with running water and electricity. After Grocott’s I trained reporters and I always refered to the story of Mrs George to illustrate the power of the press to change lives. A deeply damaging aspect of the way spies worked was that they created a trust relationship, often intimate, with their victims (or those who provided access to their victims). What understanding do you have of that damage following your interviews with survivors and some perpetrators? To be a good spy you need to become a trusted member of the inner circle of the group you’re targeting. You have to get close to the people you are spying on. 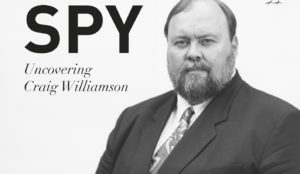 Successful spies form genuine friendships and allegiances – and that’s just what Craig Williamson did when he arrived on Wits campus in 1972. He contrived friendships, manipulated trust and manufactured an image for himself as a leftist fighting against apartheid. A spy lies and deceives people who believe him to be their friend and on their side – so the betrayal is deeply personal. The pain of betrayal is magnified by a sense of vulnerability, because the deceitful conduct shatters the world view of the person who has been betrayed. When activists can maintain the illusion that the enemy is on the other side, they are able to create a psychological safe space, but when it turns out that the enemy is actually inside your circle, you feel exposed and angry. A storm of outrage broke out when Olivia Forsyth, an apartheid spy at Rhodes in the early 1980s, promoted her memoir, Agent 407. People she had betrayed called on readers to boycott the book and disrupt any launches. One former Rhodes student even suggested shaving her head and parading her down the streets of Grahamstown, a punishment meted out to French women who had collaborated with the Nazis. The scars of betrayal do not heal easily. You lived, studied and worked (as Grocott’s Mail editor) for some years in Grahamstown. What do you miss about it, and what do you definitely not miss? I loved working at Grocott’s Mail – even though during my two-year stint as editor I was the subject of a criminal investigation because of an article we published, and was considered public enemy number-one by some in the municipality and was threatened by a cucumber-wielding reader in a supermarket because of a spelling mistake on our front page. I miss the chiming of the cathedral bells, the thrill of putting the paper to bed and the smell of ink on Tuesday and Friday mornings. I also miss the hallelujahs of the man who preaches on Church Square, the car guard who informed everyone they owed him 50-million Zim dollars and the spooky brushes with Shaw – the Grocott’s ghost. But most of all I miss the friends I made and Grahamstown’s rich sense of community. I definitely don’t miss the cold, the water disruptions and the noisy students. Has the town’s “big story” changed since your work here as a journalist, and how? I’m not sure I am in a position to comment. I think the town’s big story reflects the country’s big story – which is the fight against corruption, holding public servants accountable and getting South Africa’s democracy on track (alleviating poverty, improving education, health and basic services and creating a just society). Successive disclaimer audit reports along with other irregularities led to Makana being put under Section 139(1)b administration in September 2014. It followed the return by Pravine Naidoo to Makana for a brief stint as municipal manager, followed by a R3 million payout to him in settlement of historic legal costs. Does it surprise you that Grahamstown (and Makana) is still in crisis? Unfortunately, it doesn’t surprise me. At times Makana politics seemed to resemble a political soap opera – a world of back stabbing, double crossing and infighting. Pravine Naidoo – that’s not a name that brings back good memories. Soon after I arrived at Grocott’s we published details of an Auditor General’s report claiming that R13.7 million could not be accounted for. Our story angered Naidoo, then the municipal manager, and he got the municipality to enforce an advertising boycott against the paper. The municipality was one of the biggest advertisers and this boycott hit the paper hard financially. We had to freeze a reporter’s post, which meant one less job in Grahamstown. One day, a few hours after the advertising deadline had past, Grocott’s Mail’s wonderful advertising manager Ronel Bowles called me. “The municipality,” she said — fireworks going off between pauses — “has booked an ad.” We agreed to accommodate it. We rearranged articles, juggled layouts and found a space for it on the front page. And just as the page was about to be printed two hours later the phone rang again. The municipality wanted to pull the ad because the official who had placed it had forgotten about advertising ban. It’s too late, I explained. But the municipality was adamant that Naidoo had insisted the ad be pulled. I agreed to pull the advert on condition the municipality paid a cancellation fee, the costs of our designer’s time, and the costs of the film and plates. Naidoo agreed. The bill came to about three times the amount the advert would have cost. Of course, it wasn’t Nadoo’s money, it was Grahamstown’s residents’ money. The notice was about a nine-hour water interruption — information that residents would have found useful. Not much of the action in the book takes place in Grahamstown – although there are a few links. For example, it was in 1995, when I was studying at Rhodes, that I wrote two essays on Ruth First – one just after Craig Williamson confessed to being involved in her murder – and that was one of the catalysts for me writing the book. I also interviewed Guy Berger, who was interrogated by Williamson soon after Williamson was unmasked in 1980. There are cameo parts by people who went to Rhodes: I interviewed Olivia Forsyth, one of the many spies at Rhodes, who was recruited by Williamson. Karl Edwards, another former Rhodes spy, crops up quite a bit. I also interviewed former Rhodes student Mike Stent, who introduced Williamson to Steve Biko. Williamson was never a Rhodes student but as far as I remember was elected Nusas vice president at a Nusas Congress held in Grahamstown. In the talk, which I’ve called A Justice Project, I will discuss some of the reasons why I decided to write the book, in a sense trying to find justice and will talk about some of the stories I’ve been involved in over the years – including some that took place when I was at Grocott’s Mail.